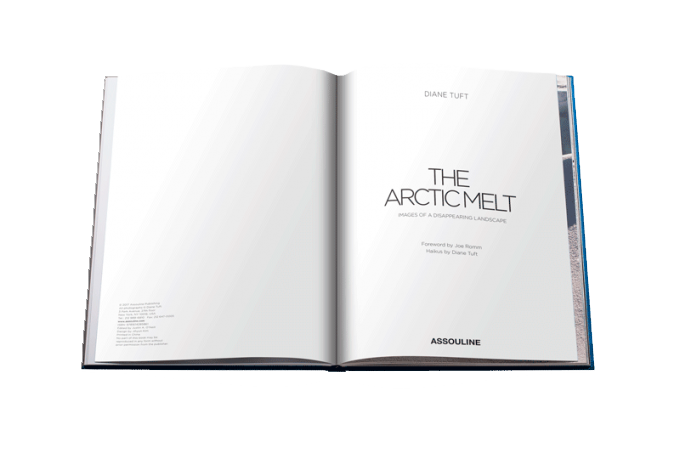 The Arctic Melt: Images of a Disappearing Landscape is a brilliant new monograph by universally acclaimed art and environmental photographer Diane Tuft. Following on the heels of Tuft's previous publication, Gondwana: Images of an Ancient Land, this new book showcases her breathtaking and visually astounding journey to capture the ice in the Arctic Circle before the constant melt renders the once-frozen landscape unrecognizable. The Arctic Melt features photographs of the North Pole, the mountain glaciers of Svalbard, Norway, and the icebergs and ice sheet of Greenland. In a remarkably new take on illustrating the effects of global warming, and with more than fifty stunning photographs, The Arctic Melt chronicles Tuft's passage through the waning tundra as millennia of ice thaw at a faster rate than ever before. The book includes a foreword by Joe Romm Ph.D., chief science advisor for National Geographic Channel's "Years of Living Dangerously" and Founding Editor of Climate Progress.